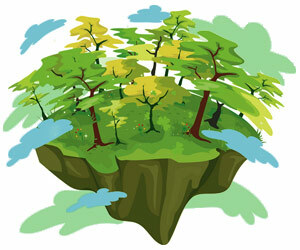 Learn interesting and fascinating fun facts about the planets forests. Discover the answers to these questions and more; what is a forest? How many types of forest are there on earth? What is the largest forest in the world? What types of animals do you find in forests? What is deforestation? Why is deforestation taking place? Are the forests on earth endangered? Enjoy our fast, fun facts for kids compiled in a useful fact file format with fact sheets, images and an interesting funny video on every page to make the learning process easy, funny and great fun! Especially written for kids of all ages our fun facts sheets will provide interesting, unique facts for kids and provide great information for parents, teachers and schools - ideal for homework help, home study and research for kids of all ages! Did you know that more animals live in our forests than anywhere else on earth? Did you know that the forests are home to over 50% of the world's plant and animal population? 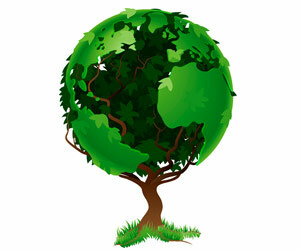 Did you know that around 2,000 trees per minute are being removed from our forests? Read our fun facts sheet about the different types of forests and learn new information about them. Our facts sheets cover lots of topics about earth including information about rainforest animals; why not take a look at our other sections to discover many more interesting fun facts? Fun facts about the forests would not be complete without some pictures about the forests! Watch our interesting fun facts video, its great fun for kids and children of all ages. The fun video will help with knowledge retention; it’s an ideal resource to help kids learn new facts and information about forests fast! What is deforestation? Deforestation is when areas of forest are removed for non-forest purposes. In most cases the forest that is being removed is not being replanted and the forests of the world are being removed at an alarming rate! Fun Facts on Forests - Watch the Video! Fast, fun facts, free video on forests for kids and children of all ages!